Det er en god idé at opgradere intercooleren på en turbobenzin motor så der er mindre trykfald og konstant kold luft så motoren kan yde optimalt. Delivering lovely cool intake air temperatures. 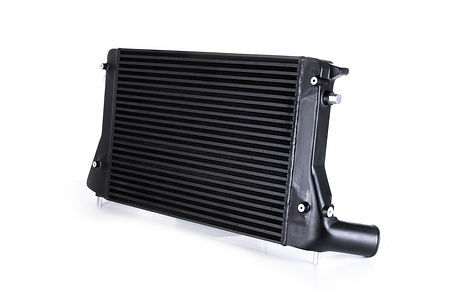 The massive 'plate & bar' intercooler unit features a high-speed core using extra tall internal tubes for maximum boost flow. 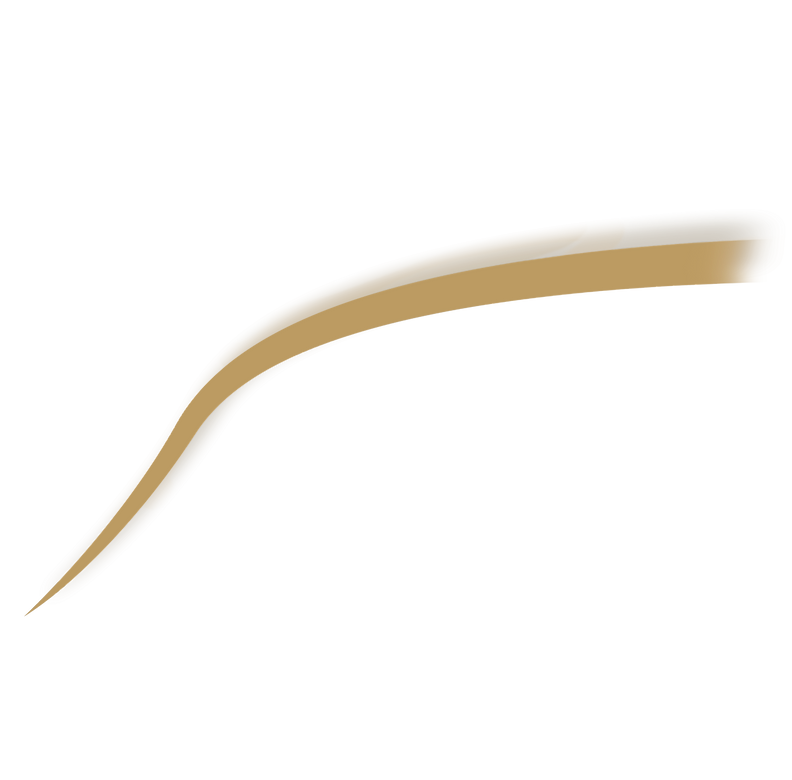 Massive 56mm core depth of our 'Plate & Bar' system uses careful optimised fin design. 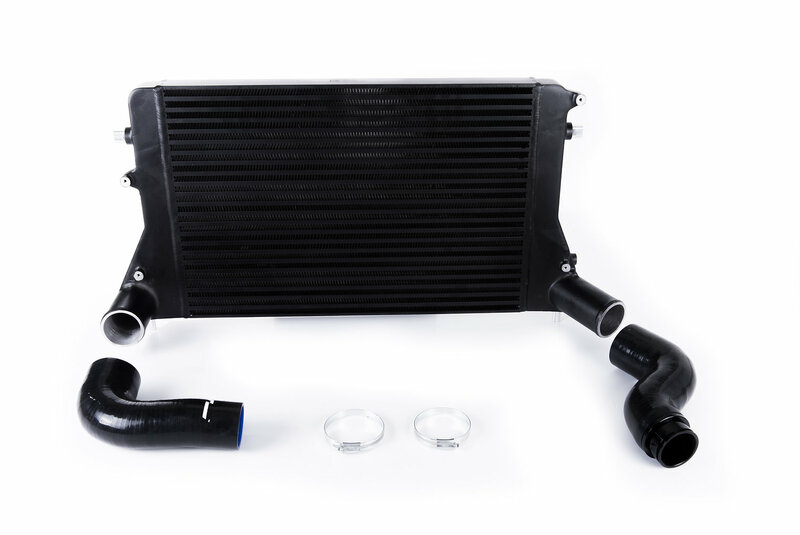 Don't confuse our 'Plate & Bar' construction with the cheaper and less-effective 'Tube & Fin' construction that most aftermarket intercoolers use. It's all about air intake temperatures. The OEM factory intercooler on the A5-platform 2.0TFSI EA113 cars struggles to contain the all-important air intake temperatures once power is upgraded. 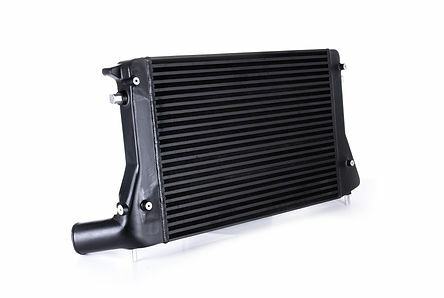 As intake air temperatures begin to rise rapidly, heat soak occurs, resulting in significant power losses the harder the car's used. 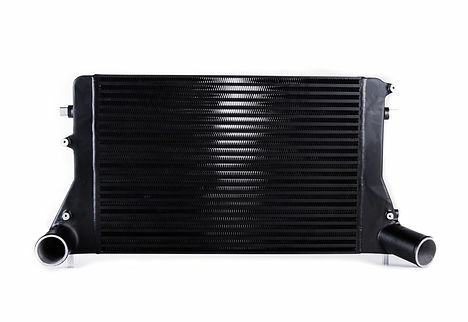 The RacingLine Intercooler makes a great difference in controlling temperatures, meaning that your power increases keep on delivering, run after run.